The Luqi Xinsheng contents are listed here together with the opening lyrics of each melody. Guide 15/155/310 思賢操 Si Xian Cao lists 23 titles, but also related are 13/140/243 (Ya Sheng Cao), 19/181/370 (Yi Yan Hui) and 29/226/431 (Fusheng Cao). 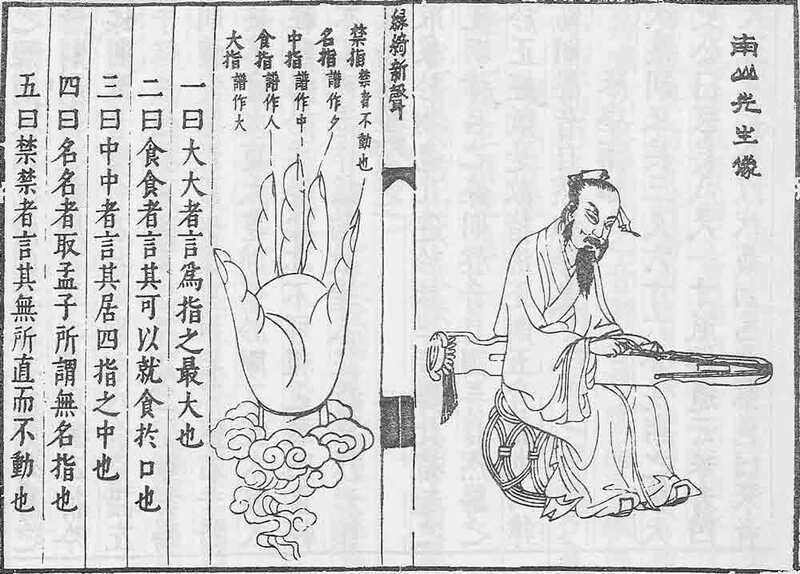 Earliest is the Ya Sheng Cao of 1511. Guide 8/77/119 includes it with Da Hujia, but the melody and lyrics here are unrelated to those of earlier Hu Jia melodies; melody is new, lyrics are those traditionally attributed to Cai Wenji herself. In Qin Shi the first page is missing and the piece is inserted after Ao Ai Ge. Then in 1618 these same lyrics are set to different music. Guide 21/190/376; lyrics and melody are related to those of at least five melodies called Yu Ge (11/117/200), including the earliest (<1491). Guide 28/--/430: only here and 1611; the lyrics are the poem Si Chou Shi by Zhang Heng.